Fish Party contains all the treasures of the deep blue sea, infused into a fresh, funky online slot. Players have the opportunity to win from a 1,940,000-coin jackpot, which, like rising bubbles, takes their experience to a whole new level of excitement. Fans of any underwater adventure like The Little Mermaid or Finding Nemo will certainly relate to this slot. The graphics and audio inspire tranquillity and serenity, with light-hearted fun and silliness interjected to create unsurpassed freshness, and placing the Fish Party online slot in a league of its own. Players will delight in the on-screen imagery, which includes a cheeky starfish with pursed lips, a worm patiently waiting on the hook (seemingly ignorant of its fate) and grinning underwater companions of all shapes, sizes and colours. When players line up 3, 4 or 5 Scatters, they will trigger up to 20 Free Spins, with super stacked wilds. 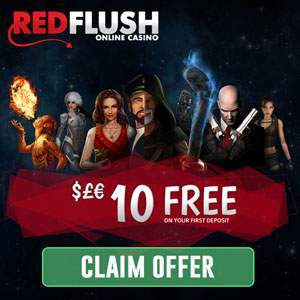 These Free Spins can be retriggered. The 243 Ways to Win slot also contains a Gamble feature, where players are required to correctly guess the colour or suit to win. When players click the gamble button, they can also double or quadruple their win. A correct card colour will double the player’s win, while a correct card suit will quadruple the player’s win. There’s an abundance of underwater treasures, with stacked wilds, Free Spins with super stacked wilds, as well as stacked symbols available for players.